SMS Novara was a Novara-class scout cruiser of the Austro-Hungarian Navy which served during World War I. Built by the Danubius shipyard between December 1912 and January 1915, Novara was the third and final member of her class to enter service, some six months after the start of the war. She was armed with a battery of nine 10-centimeter (3.9 in) guns and had a top speed of 27 knots (50 km/h; 31 mph). The ship saw extensive service during World War I, owing to the cautious strategies adopted by the Austro-Hungarian fleet and their opponents in the Triple Entente. Novara was frequently used to raid enemy shipping and the Otranto Barrage, including a patrol in November 1915 where she destroyed a stranded French submarine. These operations culminated in the Battle of the Strait of Otranto in May 1917, the largest naval battle of the Adriatic Campaign. There, she and her two sisters sank fourteen drifters, though she was badly damaged by a British cruiser and had to be towed back to port. 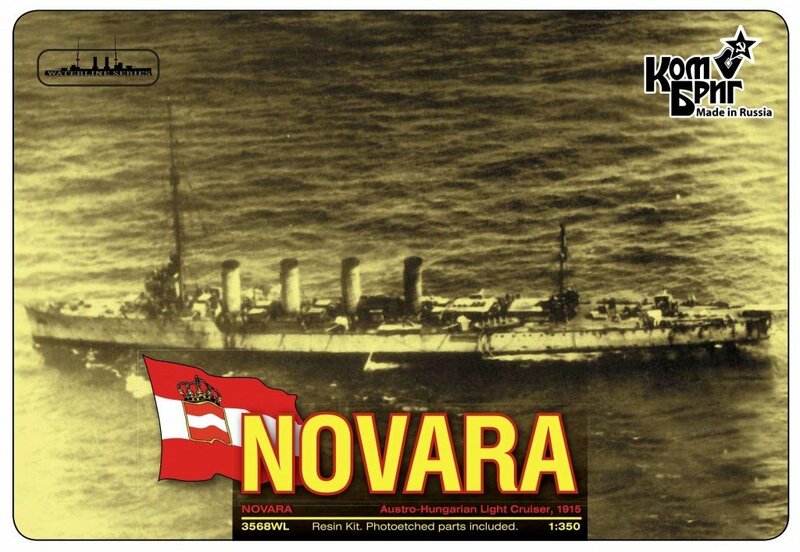 Novara was involved in the Cattaro Mutiny in January 1918 and led the loyalist vessels to safety. Novara changed hands several times as the war ended, being transferred first to the Kingdom of Yugoslavia, a successor state to Austria-Hungary, and then to France as a war prize under the terms of the Treaty of Saint-Germain-en-Laye. Commissioned into the French fleet as Thionville, the ship served from 1920 to 1932 as a training ship, and from 1932 to 1941 as a barracks ship in Toulon before being broken up for scrap.